Linear accelerator; total cross-sections; resonance parameters; SAMMY code. 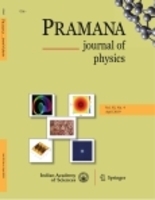 Experimental results of transmissions for the samples of natural molybdenum with thickness 0.0192 atoms/barn and for the four samples of natural tantalum with thickness 0.0222, 0.0111, 0.0055 and 0.0025 atoms/barn are presented in this work. Measurements were carried out at the Pohang Neutron Facility which consists of a 100 MeV Linac, water-cooled tantalum target, and 12 m flight path length. Effective total cross-sections were extracted from the transmission data, and resonance parameters were obtained by using the code SAMMY. The present measurements were compared with other measurements and with the evaluated nuclear data file ENDF/B-VI.8.